Having a music career might seem like an unattainable goal. Thousands try to break into the industry, few succeed. But what if I told you there was a different way to be a part of the music scene? One that doesn’t require Aretha Franklin’s singing chops or Madonna’s wardrobe changes. By apprenticing in one of Ontario’s skilled trades you can earn while you learn, and help create the concerts and festivals you love. There are all kinds of trades associated with live music – from carpenters building the stages, electricians installing the lighting and electrical systems, truck and coach technicians maintaining tour buses, to cooks, hairstylists, heavy equipment operators and more. Learning a skilled trade can really amp up your future. According to an Ontario Chamber of Commerce study, the province’s music industry generated over $400 million in revenue in 2010 and live music added hundreds of millions of additional dollars in economic activity. The industry is growing and the skilled jobs that support it will continue to be in demand. Now that’s sweet music for those looking for a rewarding future. Sound interesting? 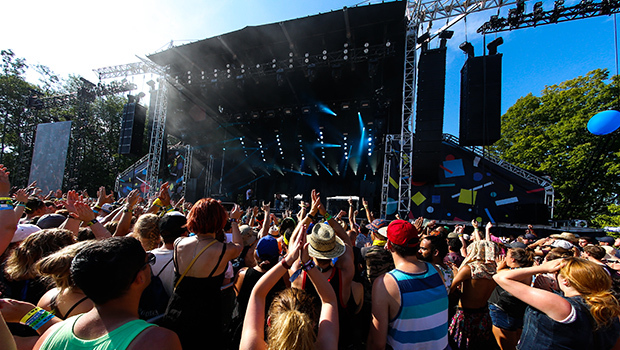 The Ontario College of Trades has just released a video showcasing the work of tradespeople at two major summer music festivals. Check it out here. This behind the scenes look at WayHome and Boots and Hearts details how skilled tradespeople play an integral role in making these amazing events possible. While you’re there, you can get information and answers to any questions you might have about apprenticeship programs and getting started in the trades. What’s more, a music-related contest is coming soon (stay tuned on Twitter and Instagram by following @collegeoftrades). Rumour has it the winners will be getting VIP treatment at a ‘gotta be there’ concert. This is a sponsored post, but I agree with everything here.